The Head Extreme Supercombi 9 racket bag has 2 generous sized compartments, one of which features Climate Control Technology (CCT) to shield your gear from changes in weather conditions. This great racquet bag will take up to 9 rackets and has 2 inner mesh pockets for equipment and other gear and 1 outer zip pocket for keeping accessories handy. The bag, for players taking their game a bit more seriously, has a padded carry handle and shoulder straps that are padded, adjustable, detachable and reversible for excellent versatility and comfort. 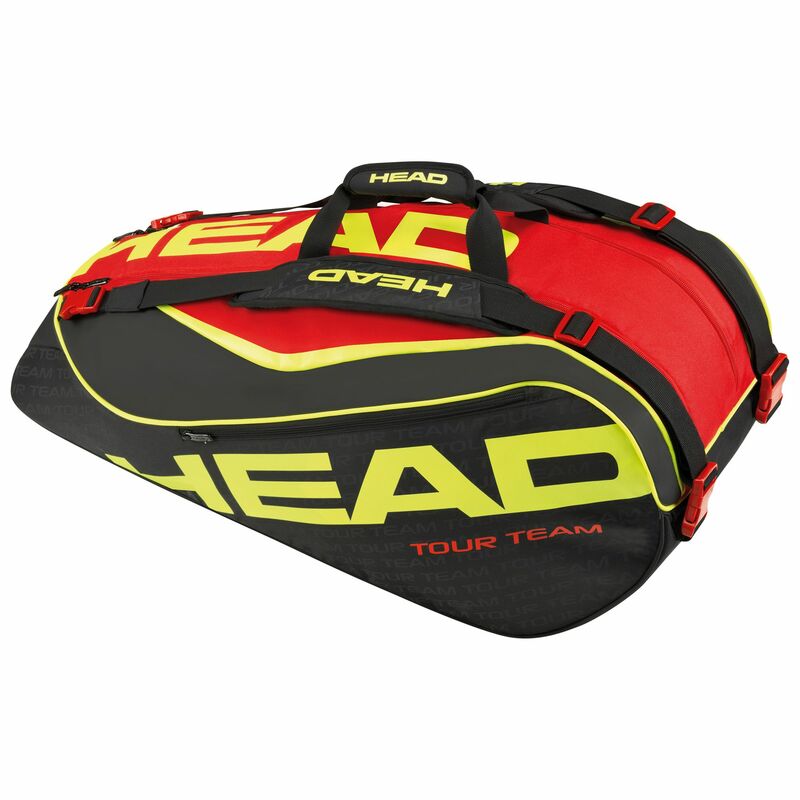 for submitting product review about Head Extreme Supercombi 9 Racket Bag SS15.